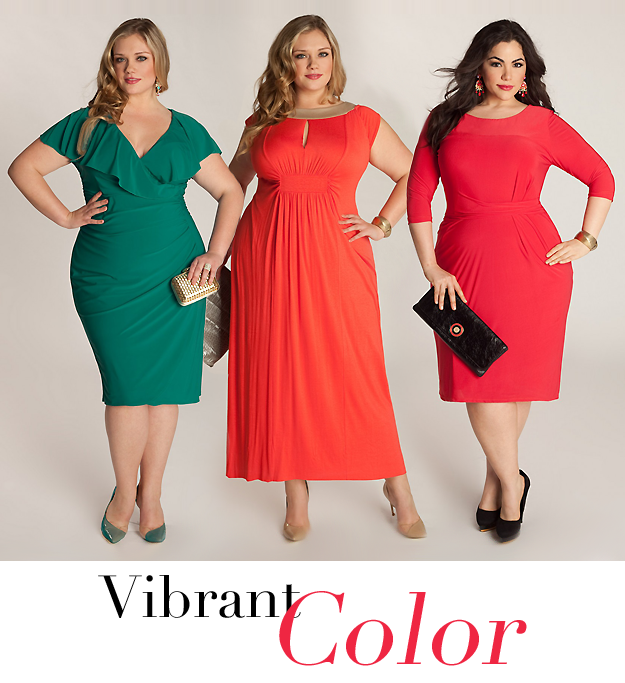 I just got an email blast with the new collection from plus-size designer IGIGI by Yuliya Raquel. The collection is called “Into The Blue”. IGIGI is not only infusing bold hues of blue in this line but also vibrant shades of fuchsia, coral and jade. I really like the Thera Dress which has ruffles and a flattering ruching at the side seam while the Polona Dress has the on-trend color scheme of black and white in a floral print. I’m seeing many items that are perfect for those summer photoshoots, weddings and beach parties. Shot against the backdrop of San Francisco’s historic Cliff House by the Sutro Baths in Ocean Beach with the gorgeous Parisian model Clementine Desseaux, IGIGI by Yuliya Raquel’s new Into the Blue collection offers fashion-forward plus-size ladies on trend options combined with the company’s renown vintage flair. Available at www.igigi.com and select specialty stores worldwide, Into The Blue is a mixture of curve enhancing dresses and separates that feature subtle design details in the season’s hottest trends. Criss-crossing on the empire waist, asymmetric draping, ruching and pleating are used to highlight curves in bold palettes, print blocking, black and white combinations, and high-low hemlines fit for the summer. Price range is $62-$195. “For summer we definitely wanted to inject bright new colors and more prints and use them in new ways. We also wanted to keep with what we know are our strengths when it comes to draping and pleating but build off it and make it more complex but still flattering. Our thought throughout the whole process was – get outside your comfort zone and take little risks here and there while still staying true to what we already know — we hope it paid off!” said the IGIGI by Yuliya Raquel Design Team. One of the boldest IGIGI by Yuliya Raquel collections so far, Into the Blue is the fashion lover’s dream pushing it up a few notches. Print-blocked Lily, Ariel and Dani dresses take color blocking to the next level while Letta Maxi plays with mesh and transparency, true wrap style and flutter sleeves, all in one dress. Playful combinations of lace and metallics provide for stylish and fun stand-out-from-the crowd summer nights.